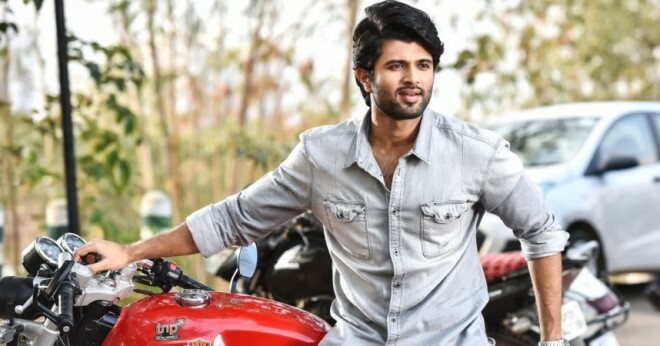 Hyderabad, Mar 13: Tollywood's most eligible bachelor Vijay Deverakonda who is already busy with his happening projects had now added one more film in his kitty. Announcing the details of it, leading production house, Mythri Movie Makers said it is happy to associate with Vijay for the second time. The film is titled 'Hero' and will be made in all the south Indian languages. Anand Annamalai, who penned the dialogues for the critically acclaimed Tamil super-hit 'Kaaka Muttai' will be directing Vijay's 'Hero'. The regular shooting of the film will kick-start from April 22nd in New Delhi and Vijay will be seen in the role of a professional biker in it. Before the start of shoot, the makers will go for the launch and on the same day, rest of the details will be announced. Currently, Vijay is shooting for 'Dear Comrade' which is in final stages of the shoot. Repeating his successful co-star Rashmika Mandanna for the second time.